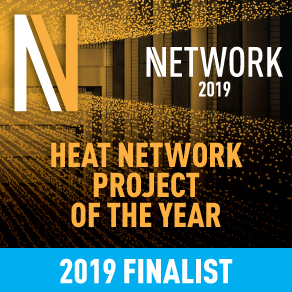 We’re thrilled to announce that we have been shortlisted for Heat Network Project of the Year at the Network Awards. Organised by Network Magazine, sister publication to Utility Week, the awards will celebrate the very best in UK energy networks, from engineering excellence to stakeholder engagement. We’re immensely proud to have been recognised for our contributions to the industry and look forward to attending the awards on the 26th of March at the Hilton Birmingham Metropole.